Please Note: To be able to type the name and date on this certificate, you need to have Adobe Reader installed. Other PDF reading software may display it incorrectly. Having an egg rolling race this Easter? 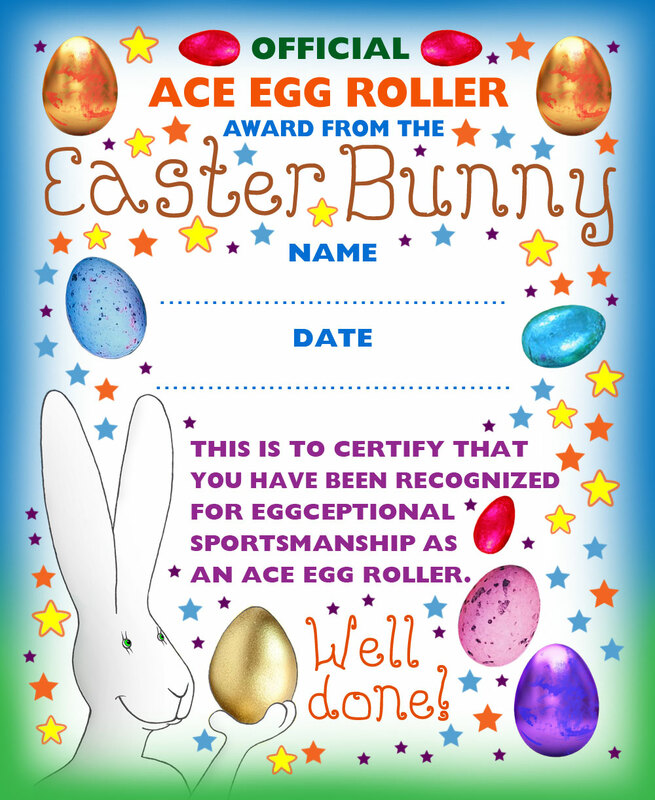 Then perhaps this useful award will come in handy for the winner… or even as a take-away gift for everyone who takes part. If you just want this resource as an image, click on the little grey numbers link above the certificate, next to the tiny magnifying glass. You should then be able to right click and save the image to your computer.